Faith Hermann has grown up in Ronald McDonald Houses. Her first stay was when she was in her mom’s growing belly. 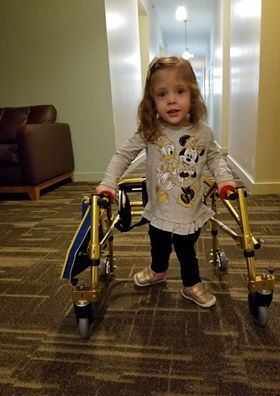 “We found out about Faith’s diagnosis with spina bifida at her 20-week ultrasound … there are several different forms of it and she has the most serious kind,” said her mom, Allison. Allison had surgery in Colorado while Faith was in utero to put her spinal cord back in and cover the exposed nerves to prevent as much damage from occurring as possible from exposure to the amniotic fluid. From there, they were KC bound to await Faith’s arrival. They couldn’t be far from a pediatric hospital that could immediately assess Faith. They already had a 5-year-old boy and 13-month-old girl at the time, so they needed a place they could all stay together near the hospital. “We were trying to figure out logistics – how was this going to work? The Ronald McDonald House really helped us and made everything easier for us,” said Allison. The Hermanns were able to stay together as family during the weekends, and Alison’s mom came and stayed with her when my husband and kids went home during the week. The House was instrumental when Allison went on bed rest for four weeks before Faith finally made her grand appearance at 32 weeks. 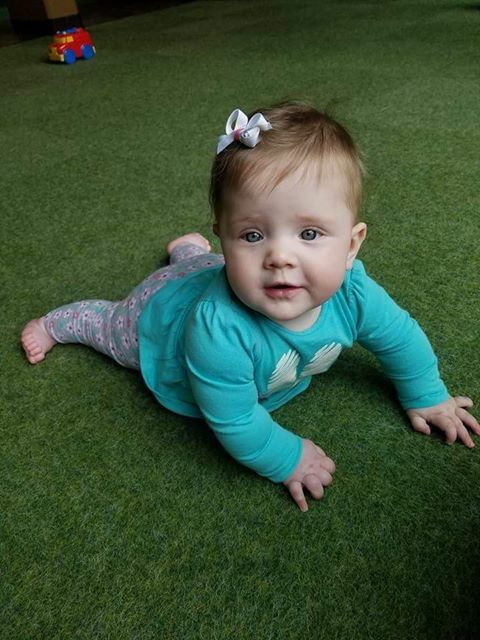 After 50 days in the NICU, the family was able to go home to Manhattan, Kan. Their next trip to Children’s Mercy was when Faith was 6 months old to get a shunt placed, followed by a third surgery late last year at 2-and-a-half. The Hermanns love returning to RMHC-KC, because it’s a time to reflect on how far they have come. And Faith has exceeded expectations with joyful determination. The Hermanns weren’t sure what her mobility would look like with such an extreme case of spina bifida. 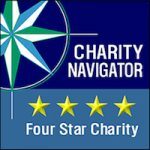 “Some kids with her diagnosis can walk really well and some are completely paralyzed and spend most of their time in a wheelchair. We are grateful she’s strong enough to take steps on her own, but she will need a wheelchair to go longer distances. It is encouraging to see how far she’s progressed and its neat to come back to Ronald McDonald House to where it all started,” said Alison. Next up with Faith will be trying out crutches and trying to stand and walk with them. The Hermanns take one day at a time with Faith.